They jab and push the drawing instrument on the support; they drag their lines over the page. Children make no attempt to delineate, explain or copy. Thought, co-ordinated with hand movements bear little resemblance to the events or the objects described or remembered. Instead, they are transformed into the equivalent of the drama that is taking place. 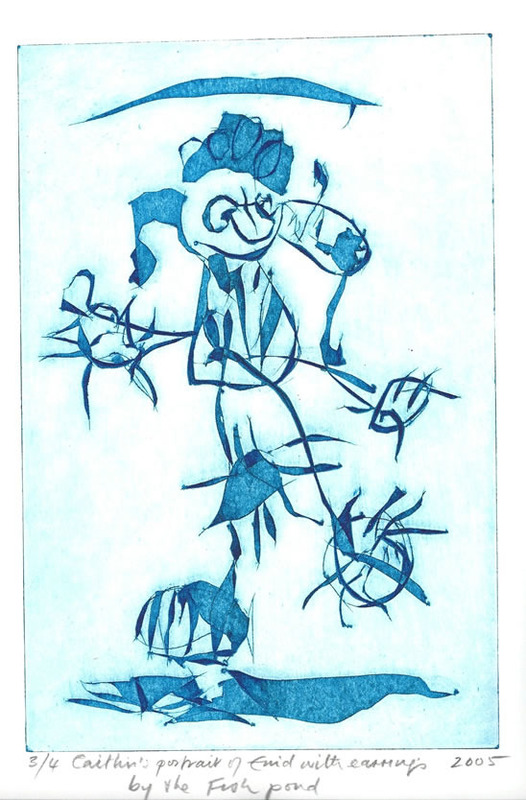 These broken and staccato marks, these lines which correspond to the movement in the act of drawing have the ability, unintentionally, to evoke a kinetic response in the viewer. This is what is most fascinating about the lines children make: broken staggering, swelling lines, swiftly made and at times delicate. These are the lines which are suited to the Paperdrypoint method of printmaking which I began working in 1973 and which became my practice since 1976. In 1994 I invited two children from my neighbourhood to participate in a collaborative work based on the tragedy of the six children who were killed in the snow in a bombing raid while playing on the streets of Sarajevo (Sydney Morning Herald, 22 January, 1994). The work became part of the exhibition “Sarajevo” at the Ivan Dougherty Gallery, COFA, Sydney in 1997. 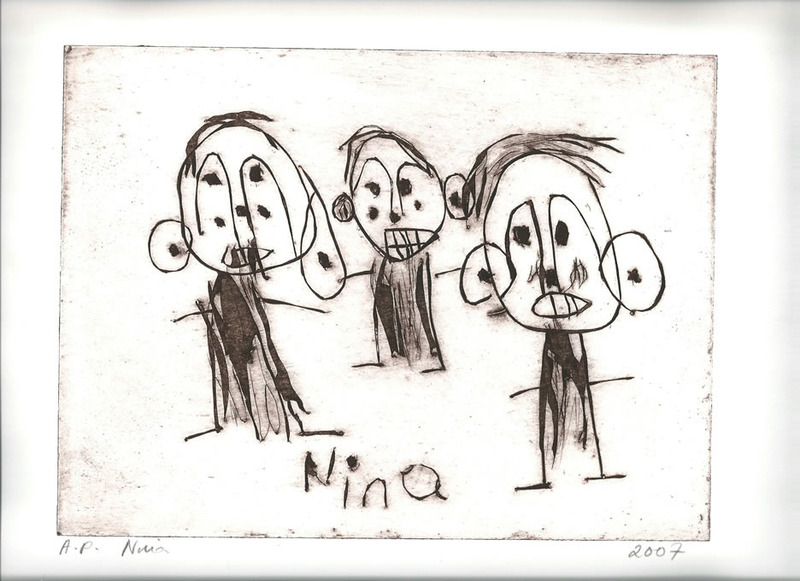 Later I requested the permission of some parents to translate their children’s work into Paperdrypoint prints. This resulted in requests by other parents for their children’s drawings to be made into prints. I send the plate on request and the child draws on it. The plate is returned to me by mail and I prepare it for printing. I return a proof copy to the parents who then decide on the number of prints they want. These intaglio prints are a frozen moment in time when drawing is at its most spontaneous, captured and imprinted on a sheet of acid free paper. Every child’s work I have done has been a visual delight and a great pleasure for me. A selection of these works appears below.